It's our busy season at #MonogramHQ. If Santa were to take a peek, he might say it looks a lot like the North Pole right about now! 😉 With Christmas right around the corner, there's so much to do with so little time. 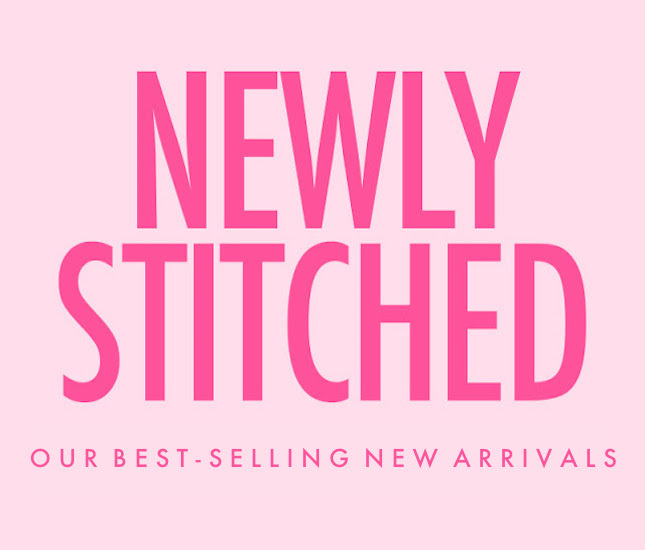 To help make your holiday shopping easier, here are some new arrivals you won't want to miss! 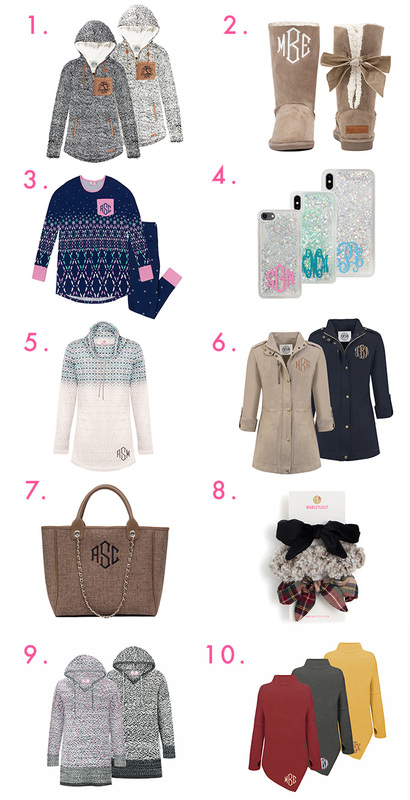 So grab a cup of coffee and let's get to shopping our newest, best-selling monograms! This Heathered Sherpa Hoodie has been a Marleylilly favorite from the get-go! You can now shop this Marleylilly staple is a new light gray color! Trust us, you will not want to take this off all winter! What's warm, fuzzy and oh-so-cute?! Our monogrammed sherpa tie booties, of course! These booties just scream Christmas! If you're sherpa obsessed like we are, also be sure to check out our Sherpa Booties for another cute winter option! How fun would it be to wake up on Christmas morning dressed in these matching PJs?! We are so obsessed with this new design! Grab a pair for you and your siblings, and you'll make Christmas memories to last forever! This Monogrammed Phone Case is so glitzy and fun! You will love whipping out your phone with this phone case. Shopping tip - select the "red" vinyl color option and silver phone case and you have the perfect stocking stuffer! This tunic is perfect for winter! Style this with leggings and duck boots, and your OOTD is complete! Plus, grab a matching tunic for your mini-me at Marleylilly Kids! This new field coat is the perfect closet staple. This is the perfect coat to have on those chilly mornings. You can style this all year long and it makes a great Christmas gift! This year, you NEED this chic handbag! It's the perfect winter bag! Jazz it up with a sweater and some riding boots for an outfit to remember! Talk about the perfect Christmas gift - this scrunchie set is one of a kind! Be sure to grab yours before they're gone! These do not last long! Your new favorite casual tunic is here! Now available in multicolor, this pullover is so buttery soft, you will want to wear this over and over again! Looking for another mommy and me outfit option? Check out the matching kid's counterpart! If you're looking for an effortless top, you need to check out these turtleneck tunics! You can dress these up or down! These are super cute and cozy and there are so many color options to choose from! What new arrivals are on your Christmas wish list? Let us know in the comments below!